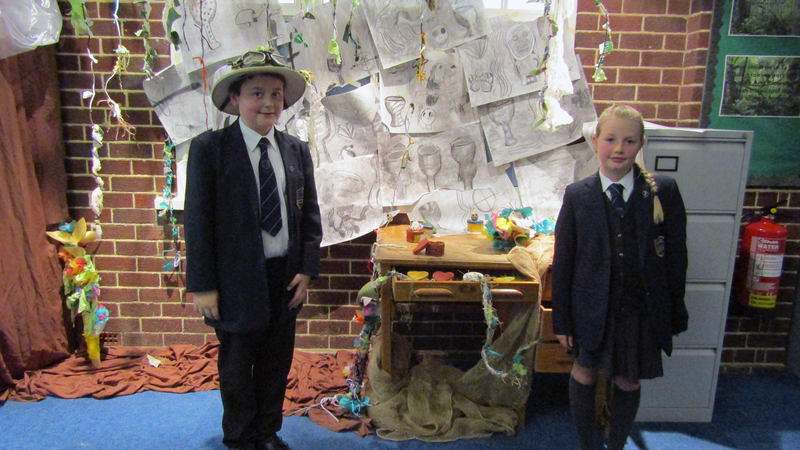 Students from Saturday school – in collaboration with Ingestre Hall – proudly showcase their creative pieces. The tactile display is on the theme of adventures with Calum looking ready to go off into the jungle in search of exotic creatures. 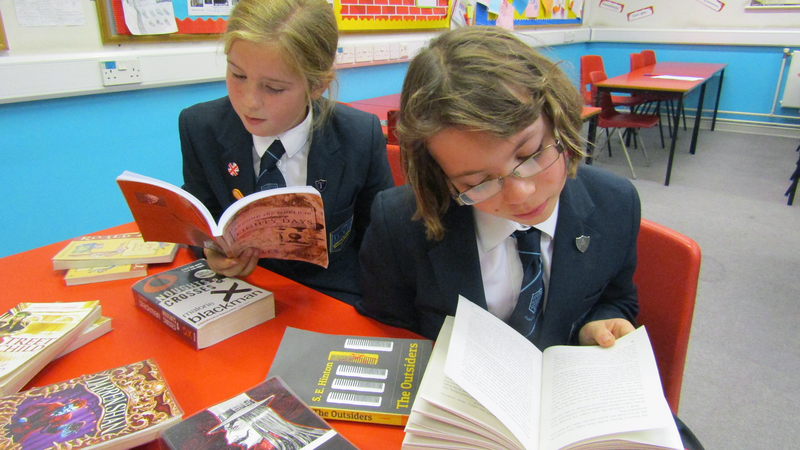 English students diligently have their head in a book – a common sight along the English corridor. Where have their reading adventures taken them today?